“A national theatre’s place is the stage, not the barricades”, argues Mick Heaney in his article (Sunday Times, Culture, 14 Mar 2010) The barricades of which Heaney speaks are those which are currently heaving under the weight of angered and frustrated people who have felt the smothering hand of recession in Ireland the most. The Irish air-waves and television screens are buzzing with outcry and disbelief directed at the constant surfacing of scandals to hit our banks, corporate boardrooms, clergy and churches. While many feel a saturation point has long been surpassed in relation to round-the-clock coverage to recession themed programming and chilling tales of abuse of power and innocence, a public without an expressed voice and opinion has little chance of beginning to rectify what has brought about these unprecedented times. 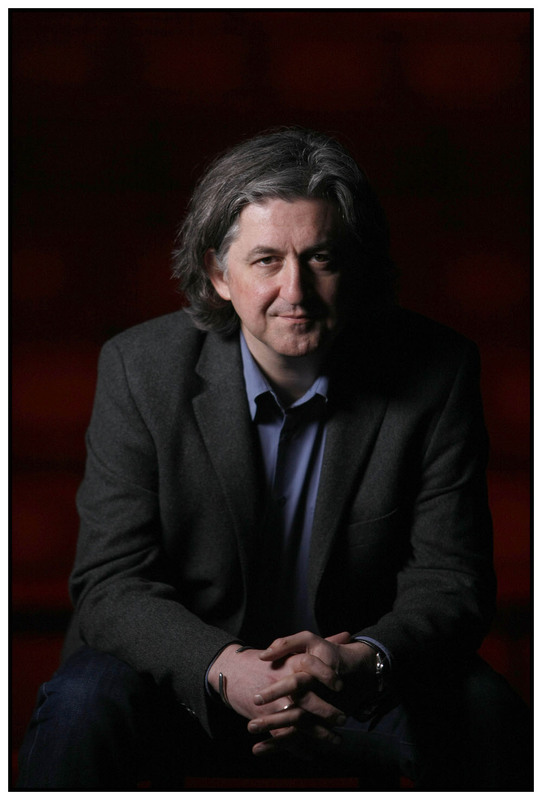 Since Fiach MacConaghail took over from Ben Barnes as Artistic Director of the Abbey Theatre, he immediately sought to right what he and many others saw as the misdirection the Abbey had previously taken. Debts were rising and audiences flagging. MacConaghail believed that the national theatre should be pulsing at the same rate of the heart of the people. It is the people who make a country what it is. They are who live, study, work, rear families and, yes, also vote within a country. While there is scarcely an individual in Ireland who has not felt the pangs of economic readjustment, it is WE who elected and re-elected a government who rode the highest crest of an economic tidal wave but with seldom a thought to this wave turning into a thunderous tsunami and have it crash on our shores. Public opinion towards government during the Boom years was of indifference and of the laziest type of Laissez-Faire. Now, the national theatre has tried to reinvigorate public debate and opinion and the state of the nation and on our political, social and economic state. The program of productions at the Abbey and indeed in Irish theatre for the last number of months have been dominated by political responsive works. Even earlier, in April 2009, Love and Money written by Dennis Kelly and produced at the Project Arts Centre foretold an eerily cautionary tale of consumerism based on a high credit-subsidised level that can and will lead to ruin of self, sanity and relationships. The work produced by Hatch theatre company received strong reviews, notably for the roles played by Kate Brennan and Barry Ward and acted as a warning light for what would arrive in the near future in our news headlines but also in our theatres. The stages of Irish theatres would soon be awash with political works and, counter to the argument made by Mick Heaney, most were extremely strong pieces of drama, extremely well written, produced and acted. 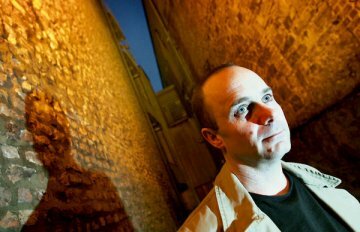 Dublin-born playwright Conall Quinn has this year been awarded the Stewart Parker Trust Award, a prestigious recognition of new writing and writers. His play, The Death of Harry Leon performed in the fantastic Smock Alley theatre in January 2009 was a counter factual drama that portrayed an Ireland that had aligned itself with German Fascism in the 1930’s and 1940’s and also alluded to Irish political and military elements active at the time. Quinn asks tough questions about national identity, racial prejudice and distorted ideology that are as much present today as they are in the past. Fintan O’Toole described this work as “terrifically courageous. It does what political theatre should do, taking real risks in order to provoke new thoughts.” The Parker trust recognises Quinn as a writer of brave, thought rendering and powerful drama, which also happens to be political in its tone and resonance. Therein lies a critical distinction. The elements that make up a well written, well produced and well acted drama should not be diminished or treated as “other” simply because they are political in essence. Thought provoking work on the social, ethical, financial and legislative failures of our government and citizens should not be dismissed in favour of those which steer clear of civic significance. For too long a lack of public debate and discussion on the failures within Irish moral society and business have facilitated a culture of abuse on astounding levels. If theatre and the arts do not take up the mantle of removing the cloak cast upon many aspects of Irish society then there is a very real risk that actions can continue underneath it unabated. Business as usual. On January 30th 1961, a new play The Evidence I Shall Give was premiered at the Abbey Theatre. Written by a district court Judge, Richard Johnson, the play dealt with, quiet openly, the abuse and fear that prevailed in Irish institutional schools and Magdalene Laundries. Frustrated by the restraint in the Irish Judicial system in dealing with cases of abuse on young people within these state sanctioned homes and the indifference that was also evident among Irish families and parishes, Johnson honed his craft as a writer and used the powerful ally of the stage to create a public awareness and view of self accountability in the face of these systemic and moral failings. The play had an initial run of 42 performances, quite a substantial run for any work on the Abbey stage by a debutant playwright. More startling was that the play received another 42 performances from 10 July 1961, a further 6 shows on 6 July 1961 and yet another run of 21, 9 and 6 performances on 1 August, 18 September and 9 October 1961 respectively. This run totals 126 performances. This equates to The Evidence I Shall Give being on the Abbey Stage for roughly one third of the calendar year. This was at a time when the Second Vatican Council was still meeting in re-evaluating its Catholic doctrine and role of its Bishops. Johnson’s belief in the power of theatre and ability to create and provoke sincere debate and thought was not lost on this play, but perhaps lost to some degree by an audience who left the performance behind in the theatre and did not question within themselves the themes of abuse raised by the play. Following on from this play, which is being revived currently by a reading at the Abbey as part of its Darkest Corner series, Tom Murphy’s play the Sanctuary Lamp, premiered in 1975 caused ructions and was met by outcry in an Ireland that was still heavily subscribed to a burdening fear of the Mitre. The Project Arts Centre at this time also acted as an outcrop and forum for public discourse and discussion in an otherwise indifferent Irish society to tackling social failures that were hitherto unspeakable. I can understand Mick Heany’s worry at the Abbey or any theatre becoming merely a soapbox and an outlay to vent frustrations at a weak and floundering government. This does not benefit theatre and should not be its goal. However, for any theatre, be it the national theatre or otherwise, it must first come to terms and recognise the true character of the nation and people it is based in and those whom it represents. This means a thorough and comprehensive overhaul of the states many failures and to once again produce an audience that cares about its theatre, an audience that is strongly willed enough to take stock of their individual failures and create a public forum through powerful drama that can leave an audience thinking and reassessing its beliefs as no other medium can do.